Are Dental Implants in Kenner Worth the Investment? Find Out! Your teeth play a vital role in the digestion of your food, the maintenance of your jaw health and the aesthetics of your smile. Therefore, when they’re missing, you’re left at a great disadvantage. The good news is there is a tried-and-true method for replacing your missing teeth – dental implants in Kenner. But first, you want to know how much the procedure costs and whether the benefits justify the investment. Read on to get the answers you’re looking for. A dental implant is a titanium post that is surgically attached to the underlying jawbone. Its primary function is to act as a replacement to your missing tooth root. Over time, a natural process occurs called osseointegration, in which the existing bone grows around and merges with the titanium implant. After a sufficient degree of healing has occurred, an abutment (connecting piece) and final restoration (crown, bridge, or denture) are added to leave you with a fully functional smile. What’s the Cost of the Procedure? The price range of dental implants is vast, so it’s impossible to get an accurate price quote without visiting an implant dentist for a consultation. While you’re there, the current condition of your oral health will be assessed to determine what will be necessary to fully restore your smile. Based on your specific needs, the dentist will generate a price. When it comes to value, there is no replacement procedure that compares to the dental implant process. That’s because it goes to the “root” of the problem – pun intended. It prevents jawbone loss by triggering the production of new bone cells. It provides a stable and secure foundation for the final restoration, and it prevents any shifting. By attaching at the jawbone level, a dental implant leaves you with a natural-looking smile. While traditional dentures typically restore around 15% of your dental function, you’ll regain up to 75% of your chewing capacity with implant-supported fixtures. Coverage of the dental implant process can vary. For some dental insurance companies, the procedure is considered to be an elective. Thus, the restoration part of the procedure may be the only part covered. If this creates a dilemma for you, then Drs. deJong and Plaisance offer the option of CareCredit, which allows you to receive the care you need, and then to pay the remaining balance over a six-to-24-month period. One feature patients find attractive about this option is that it typically comes with low-to-no-interest, thus providing an affordable way to receive the care needed. If you’ve been living without a full set of teeth, then don’t hesitate to reach out to your dentist in Kenner to schedule a consultation so you can get on with leading a fulfilling life. Patients who receive treatment from deJong and Plaisance Family Dentistry benefit from over 40 years of combined dental experience. 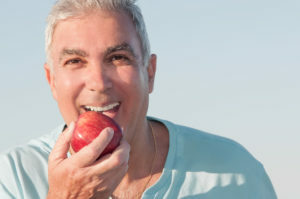 So if you’re ready to replace your missing teeth and enjoy a richer life, you can contact Drs. deJong and Plaisance through their website for more information. Comments Off on Are Dental Implants in Kenner Worth the Investment? Find Out!